It’s no small secret that I’ve been blending away for the last month or so. Now that I have my spiffy new ‘ice crush’ blender, I’ve been whipping up the tastiest of smoothies. But then today I hit the jackpot. I felt it might even be against the law if I didn’t share the mother of all smoothies my new found favorite with you. 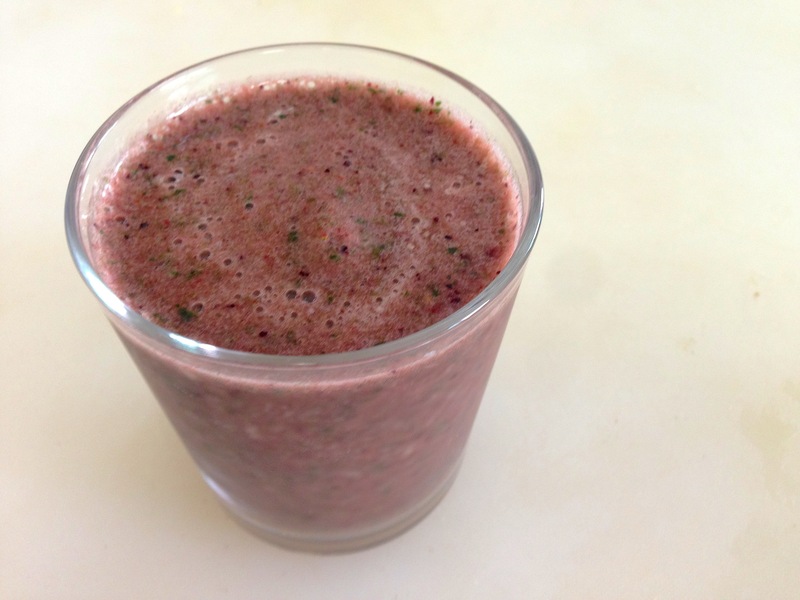 I’ve had quite a few requests for juicing and smoothie recipes: ask and you shall receive! This recipe will be the first of many in a new series I will be doing called ‘Green Smoothie.’ Clever I know. The key is to add the ingredients slowly. Trust me. I made this mistake and had to take all the fruit back out to begin again. Add the liquids first (coconut and grapefruit). Then blend in the ice, blueberries, and chia seeds (optional). Add strawberries. Once these are thoroughly mixed add the banana and kiwi. IF you’re not wanting a green smoothie you can stop there and enjoy a delicious ‘regular’ fruit smoothie. If you’re wanting to take it one step further add your spinach and blend. Pour. Sip. Enjoy! Let me know how yours turns out. Trust me, after you try this you’ll be hooked! That grapefruit does wonders with the flavor.